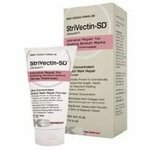 Stretch marks was my big problem till date.One of my friend suggest me about StriVectin-SD Stretch Mark Cream.I felt it is very effective.Within days the marks dramatically deduced. I was always so self conscious about my stretch marks especially on my arms. Once I started I was skeptical but after a week I saw immediate improvement. I was so happy the price flew out the window. Wonderful Product, worked amazingly. I wish it came in smaller amounts, I never used a whole bottle for my pregnancy. If it came in more viable amounts I'd definitely buy it again. Removes stretch marks, good for skin. I tried 2-3 other creams before this one, but all in vein. But this has really worked for me. I am very happy to use it for my second time as well.